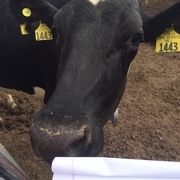 MN Dairy Quality Cares is a program for dairy producers, veterinarians and other dairy advisors who want to participate in a team effort to ensure that Minnesota dairies are using and documenting adherence to best practices in animal welfare, food safety and milk quality. Take/Perform the Risk Assessment to identify and prioritize areas on a particular dairy that need attention. Schedule a Farm Team Meeting to go over the Risk Assessment results and develop an Action Plan. Access Best Practice guidelines and resources to help improve Risk Assessment score and document adherence to best practices. What does “RISK” have to do with it? 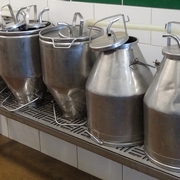 The Risk Assessment scores about 80 items on the dairy in terms of “risk” – slight, low, moderate, or high. Just because a dairy scores “high” in a certain area, does not mean the dairy is doing anything wrong. The focus of this program is documenting adherence to best practices through the use of written protocols and SOPs, and training records for employees. We believe that these steps will help prevent problems and protect against drug residues, milk quality degradation, and claims of animal abuse. Who should be on my Farm Team? Research has shown that dairies are more successful in making improvements with the help of the right team – particularly that of trusted advisors like the veterinarian, processor field staff, or nutritionist. 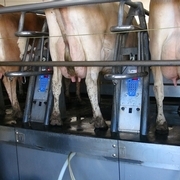 On the farm, the owner or manager, herdsperson, and lead workers on the milking or animal care team should be included. How can dairies lower their risk? This collection of Best Practices resources is tailored to help dairy producers achieve the lowest risk score for each item in the Risk Assessment. Under the headings Lameness, Drug Residues, Milk Quality, Cow Care, and People on the Dairy, you will find useful templates, record-keeping and documentation guides, as well as other information and training resources.